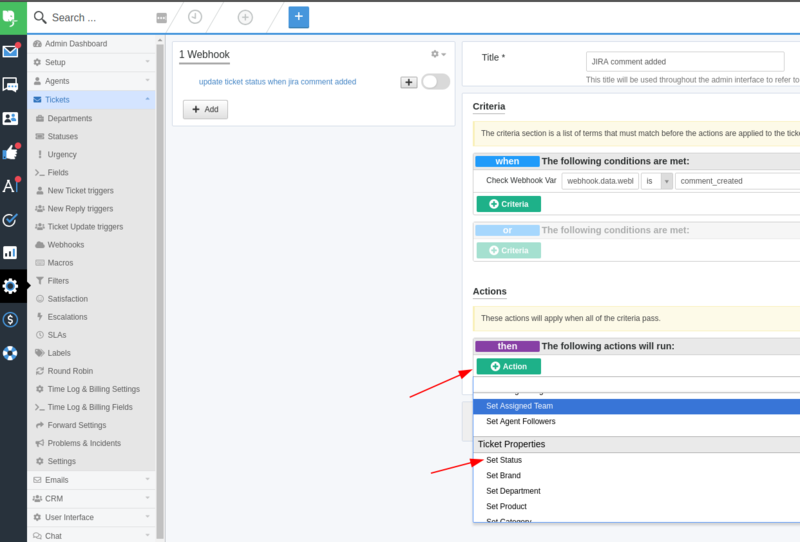 The steps in this article uses the Beta Jira app and the Cloud version of Jira, however the same should apply for the On-Premise version of Jira too. 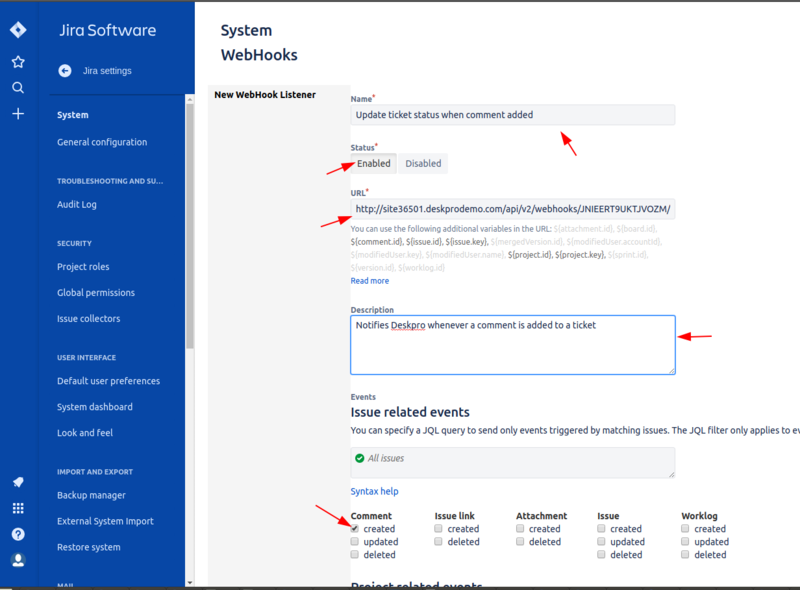 Throughout this guide, we will create a webhook that will change the status of a Deskpro ticket to 'Awaiting Agent' whenever a comment is added in Jira to one of its linked tickets. Go to Admin > Apps > Apps. 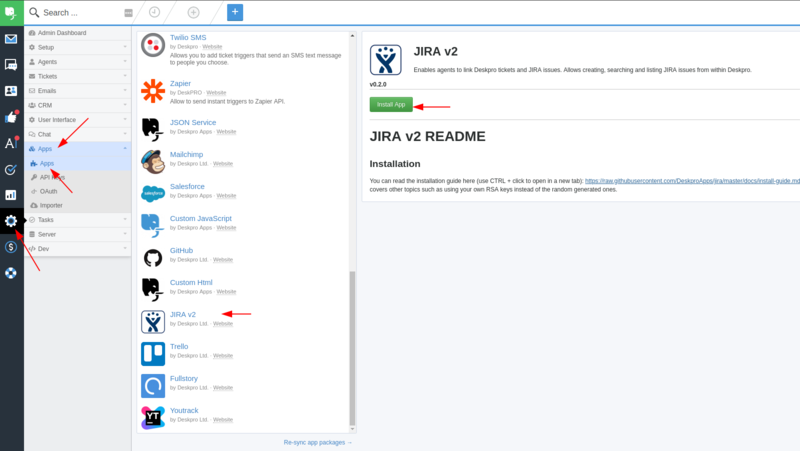 From the list of apps, locate the Jira v2 entry and click on it to start the installer. We can use this structure to configure the Deskpro webhook's trigger to fire only when a comment is added. You can read more about the structure of the JSON payload and Jira webhooks here. 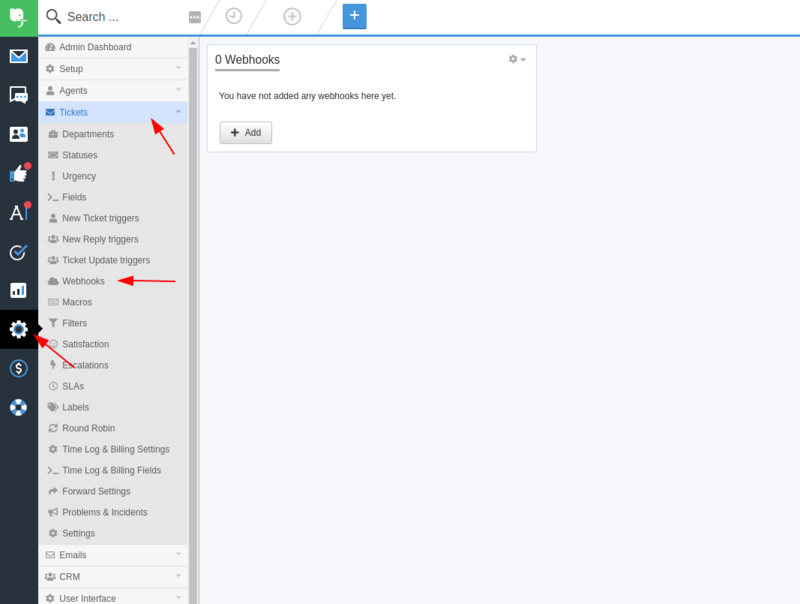 This filter will select all the Deskpro tickets which have been linked to the Jira issue from our webhook invocation. Now use the Jira app and link a Deskpro ticket with a Jira issue. Make sure the Deskpro ticket has a status other than 'Awaiting Agent' or you will not see the difference! 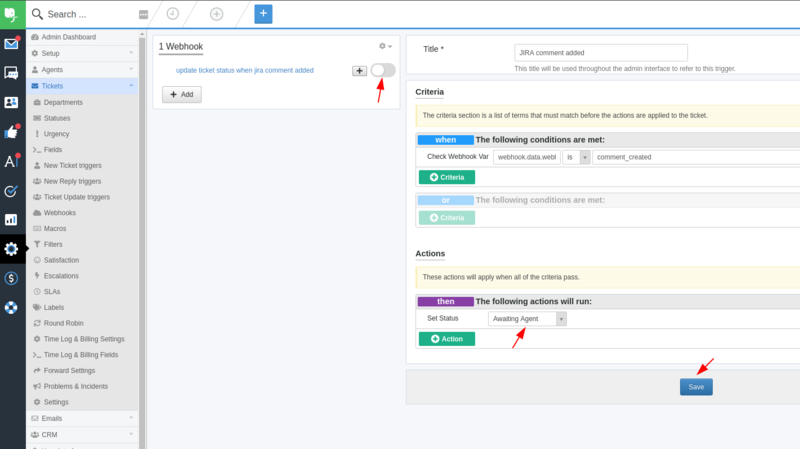 In a different tab, open Jira, navigate to the linked issue and add a comment. When you switch back to Deskpro, you will notice the status has now changed.